of the historic centre of Rome! 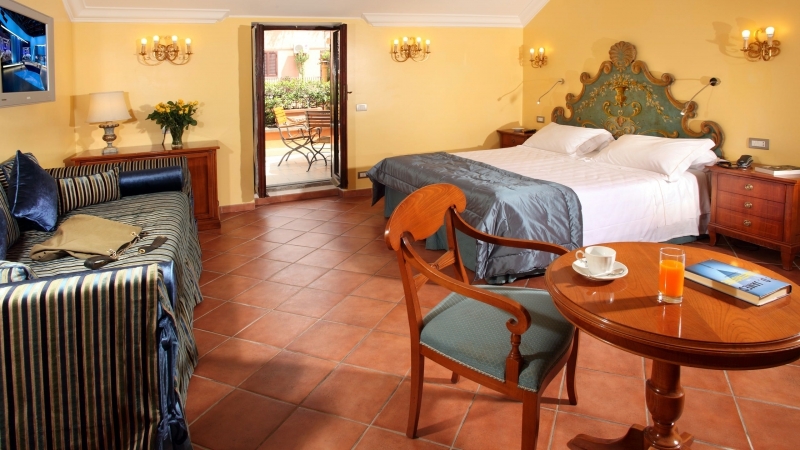 Our facilities Hotel Mozart, Vivaldi Luxury Rooms and Elite Apartments are located in the historical centre of Rome. The common reception area is located in Via dei Greci 23/B, a quiet and pleasant street that connects Via del Corso to Via del Babuino, a strategic location and one of the most interesting attractions for tourists. From Termini train station take the subway "Line A" towards "Battistini" and get off at "Spagna", which is a few hundred meters from our Hotels. The reception at the Hotel Mozart is located at number 23/B of Via dei Greci, about 300 meters by foot along Via Babuino and turn at the second road on the left. From Rome's Fiumicino airport, you can reach the hotel by taxi at a cost of 40.00 euros. By taking a convenient and comfortable shuttle bus, or the train "Leonardo Express" it's easy to reach the "Termini train station", from which you may proceed to the hotel by taxi, bus or urban lines of the Metro. In this case take the subway "Line A" towards "Battistini" and get off at "Spagna", which is a few hundred meters from our Hotels. The reception at the Hotel Mozart is located at number 23/B of Via dei Greci, about 300 meters by foot along Via Babuino and turn at the second road on the left. From Rome Ciampino airport where the "Low Cost" airlines land, you can reach the hotel by taxi at a cost of 30.00 euros, or the railway station "Termini" with convenient and comfortable shuttle buses. With the bus lines "COTRAL" you can reach the "Anagnina" subway stop and from here you can continue on the subway "Line A" towards "Battistini" and get off at "Spagna", which is a few hundred meters from our Hotels. 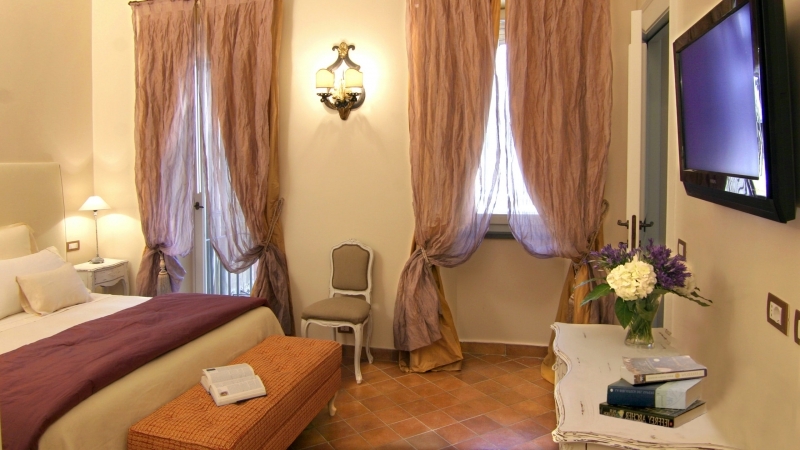 The reception at the Hotel Mozart is located at number 23/B of Via dei Greci, about 300 meters by foot along Via Babuino and turn at the second road on the left. 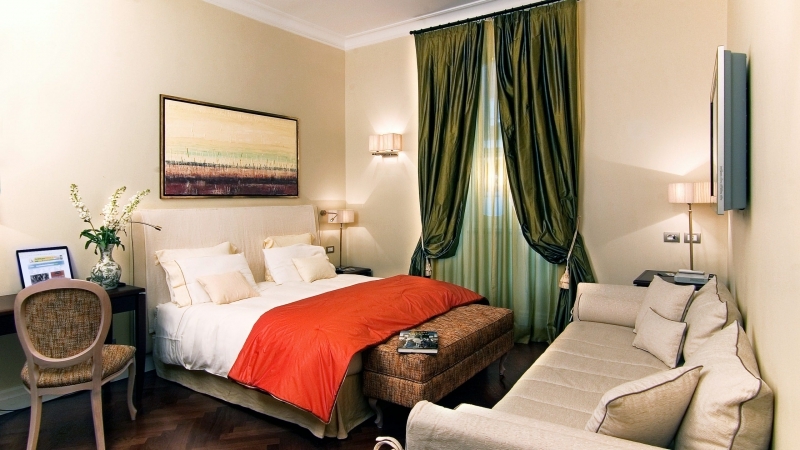 The Hotel Mozart is located in Via de Greci in the heart of Rome's historical centre. For the guests who come to visit us by car, we provide the "Pass" to access the ZTL area (Limited Traffic Zone). You must provide the number of the car's license plate when booking or at least before your arrival in the city centre. We have agreements with garages open 24 hours round (from € 30 to € 40 per day). Nearby it's possible and cheaper to park your car in the underground car park of Villa Borghese, which is located in Viale del Galoppatoio 33.